PREVENT WATER DAMAGE WITH THE RIGHT GUTTER SYSTEM! 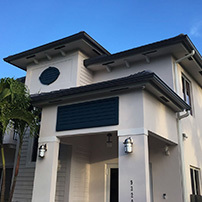 We can provide you with well trained specialists and the highest quality materials so you can rest assured your rain gutter installation will be in expert hands. 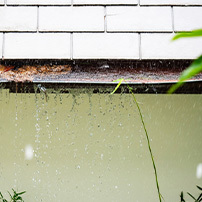 Rain gutters sometimes suffer from damage, causing water to leak into your home. It's important for water to be kept away from your property's foundation. Even with a good prevention system, gutters can get stopped up by remnants from trees and other natural elements. Clean your gutters regularly to prevent overflow. 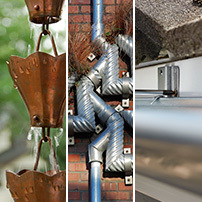 About Us Rain Gutters Solution is a highly recommended, family-owned business. We have 20 years of combined experience serving the south florida community and surrounding areas. Rain Gutters Solution is a Company You Can Trust! 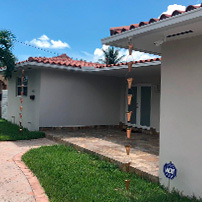 Rain Gutters Solution is an accredited business by the Better Business Bureau and has many positive reviews from popular review websites like those below. We're confident if you give us the opportunity to serve you that you will be 100% satisfied with our work, professionalism, and customer service. Contact us today using the information below.